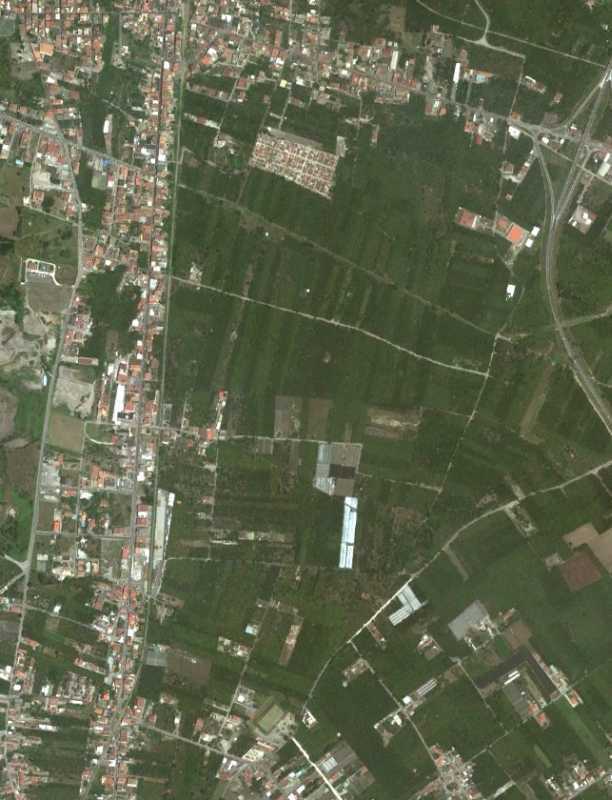 Pompeii Airfield was a military airfield located between Terzigno and Poggiomarino, a few kilometers east of the base of Mount Vesuvius, and approximately 20 km east-southeast of Naples, Italy. The airfield was an all-weather temporary field built at the end of 1943 by the XII Engineering Command of the United States Army Twelfth Air Force using a compacted earth (lava) surface. Due to the quality of the soil, the water was drained after one day and the landing ground was operationnal, even after heavy rain. ierced Steel Planking (PSP) was also used for parking areas and dispersal sites when it was available. Dumps for supplies, bombs, ammunition, gasoline drums, drinking water, and an electrical grid for communications and lighting were also constructed. Crews and personnel were housed in local homes, vacated by the local citizens. 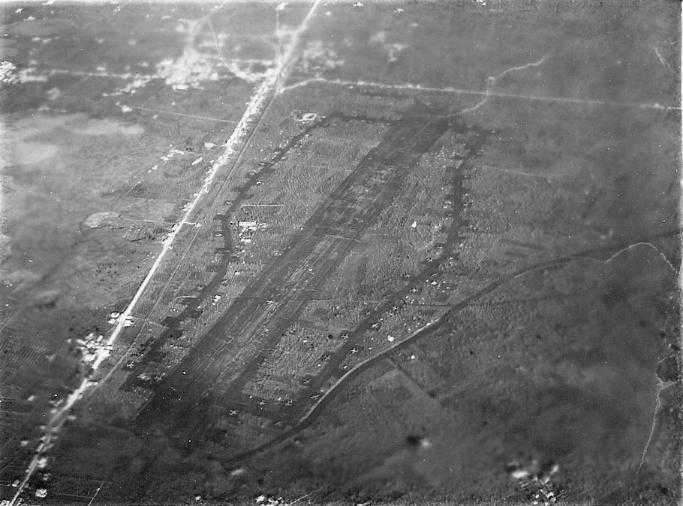 Pompeii Airfield before it was covered in 1-2 feet of volcanic ash by the eruption of Mt Vesuvius on 22 March 1944 (shortsnorter.org). 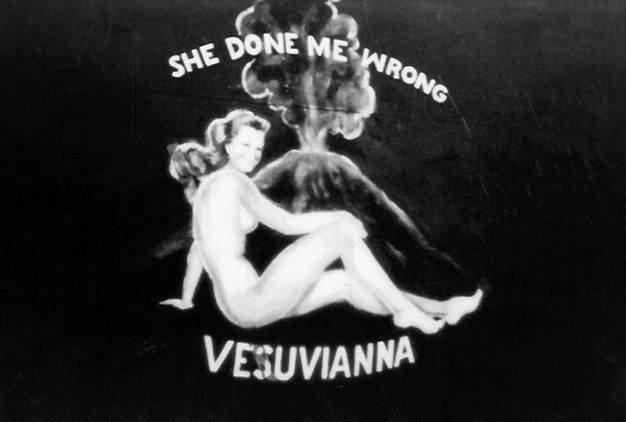 Vesuvius inspired nose art (WarWingsArt.com). 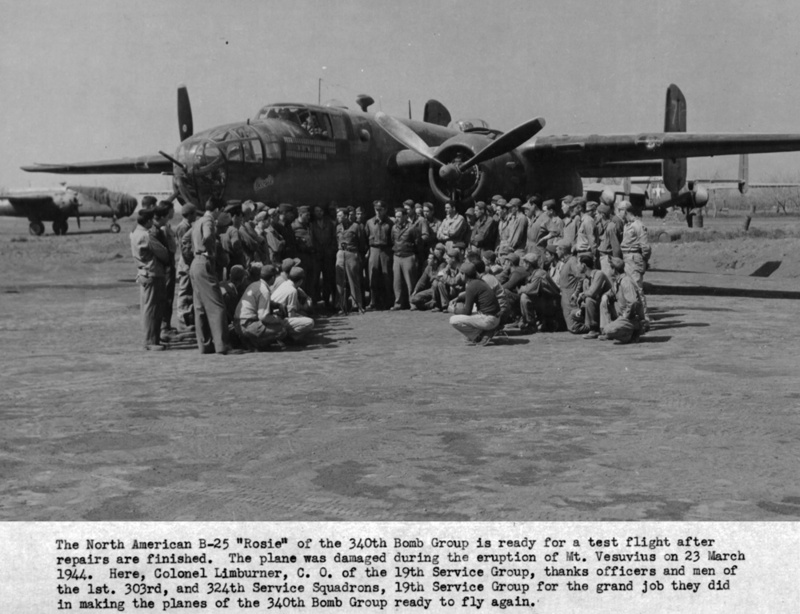 The Twelfth's 340th Bombardment Group with their North American B-25 Mitchell medium bombers occupied the airfield on January 2, 1944. The 340th Bombardment Group suffered the loss of between 75 and 88 B-25 Mitchells after the eruption of Mount Vesuvius in March 1944. The B-25s were covered with hot ash that burned the fabric control surfaces, glazed, melted, or cracked the Plexiglass, and even tipped some B-25s onto their tails from the weight of the ash and tephra. 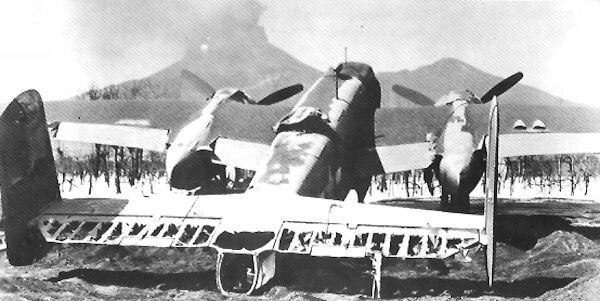 The eruption destroyed the base and nearly all of the 340th's planes were damaged, although a number could be repaired. No lives were lost at Pompeii Airfield and the only casualties in the 340th were a sprained wrist and a few cuts. 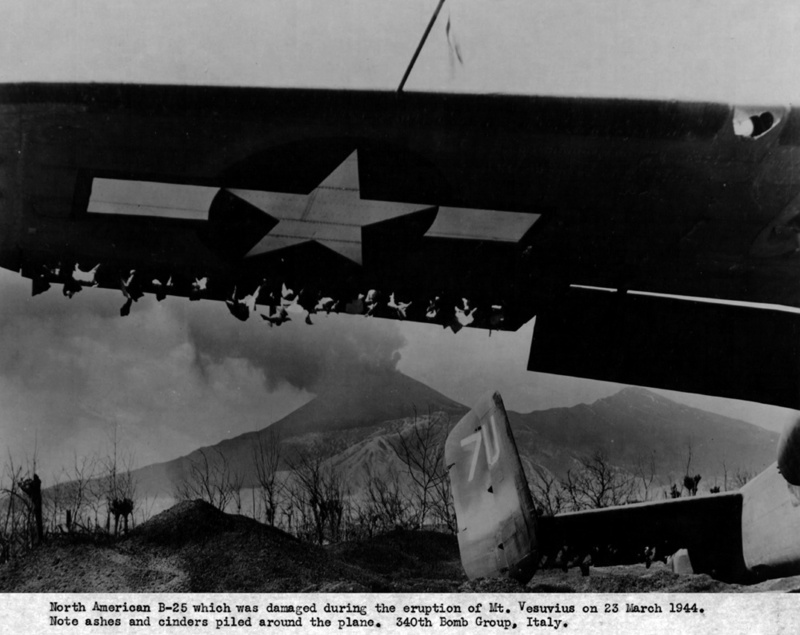 The effects of the volcano on the aircraft proved insurmountable despite a major effort by the 12th Air Force to repair and salvage the damaged planes. 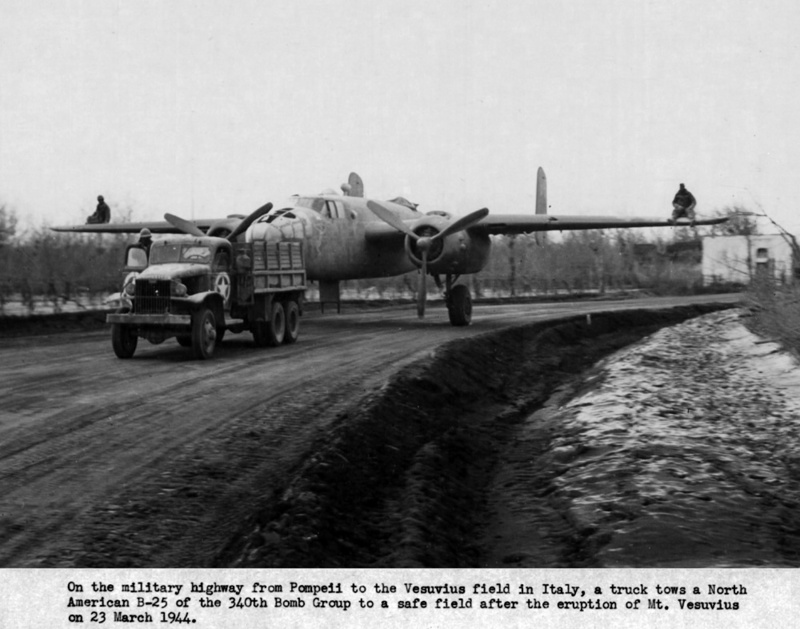 The airfield was dismantled and the 340th relocated to Paestum Airfield on March 23, 1944. Click here to see more about the Vesuvius eruption of 1944. Today the airfields location is largely overgrown and almost impossible to recognise. Many thanks to Rémi Brouilloud for the additions and corrections!